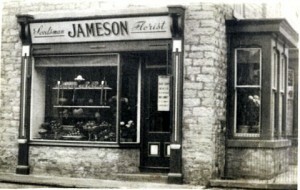 Jamesons was established in 1930 by Eddie Jameson in the small Yorkshire market town of Masham. In the early years the company sold seeds to local farmers and the business soon developed into the sale of other farming essentials such as fertiliser and animal feeds. In 1970 the company built a feed mill at Foxholme Lane in Masham. Today, Jamesons is a leading supplier of feeds, seeds and fertilisers to farm throughout the north of England. The Jameson Feed Mill site is situated in Masham. The feed mill site comprises a compound and blending plant, fertiliser store, grain drying and storage facility, liquid molasses handling and a country store. Recent investments in the feed mill, in the country store and in its people means that the business is perfectly placed to efficiently supply farmers requirements.